A child laughs at the increasing numbers of scary monsters that appear at bedtime, until a ghoul that seems scarier than all the rest arrives. 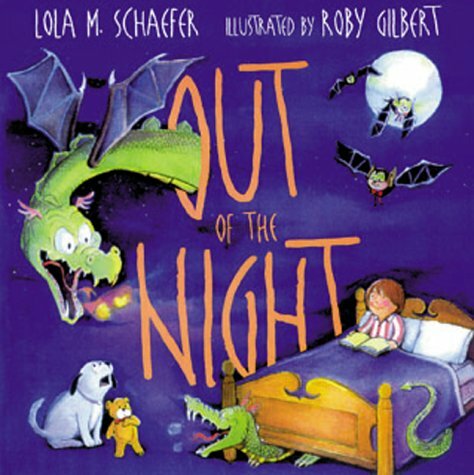 Lola Schaefer is an author, teacher, speaker and writing consultant who is passionate about helping children learn the tools of writing so they can express themselves. She is the author of Frankie Stein Starts School and Lifetime. She lives in Garrett, Indiana. Rob Gilbert is well known for his monthly comic strip, "The Adventures of Ranger Rick" for the National Wildlife Federation's "Ranger Rick Magazine," which he illustrated between 1999 and 2009. He has illustrated several books for children including, Humpty Dumpty and It's Raining, It's Pouring. He teaches art in Kirkland, Washington.